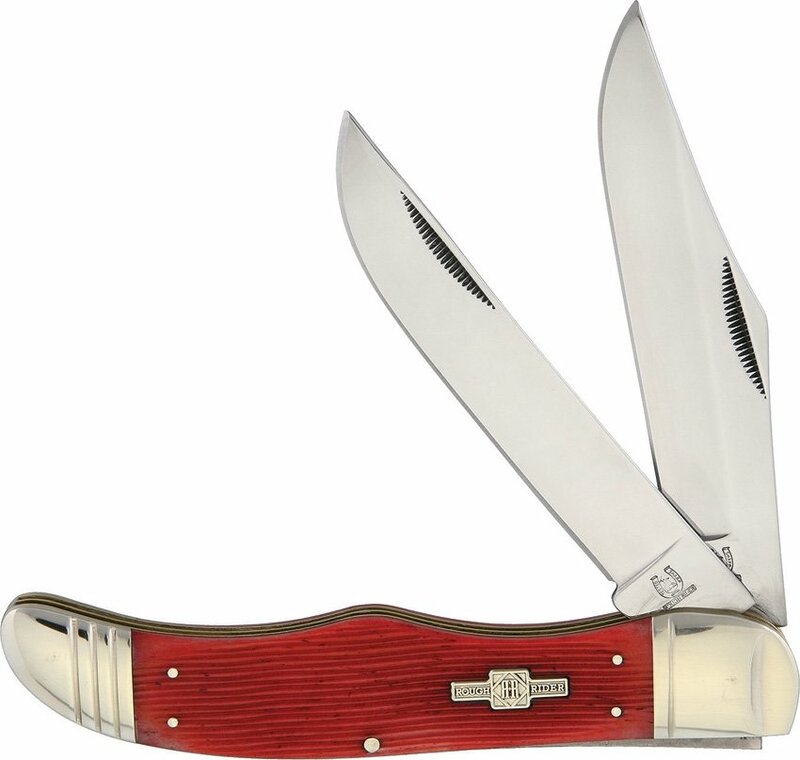 Closed: 5.25"; Blade: Stainless | Standard Edge | Mirror Polish Finish; Handle: Red | Bone; Other Info: Inlay Shield | Nickel Silver Bolsters. Clip and skinner blades. Strawberry sawcut handles. Boxed.